Communication and collaboration are crucial processes designed to ensure all safety and health matters are adequately communicated and consulted between all internal and external employees and stakeholders of Trades Labour Hire. In this April edition we also discuss the mandatory reporting requirement, which ensures all hazards and incidents are reported and resolved in a timely manner. Trades Labour Hire recognises that consultation and communication with workers on health and safety matters helps to eliminate or minimise hazards. • management considers what the workers say before decisions are made. When people communicate effectively, it is easier to discuss important information, share concerns or ask for help. There is also a better understanding of someone else’s perspective and the situation, leading to better decision making and more sustainable solutions to problems. On the other hand, information that is not communicated effectively and in a timely manner can lead to accidents, conflict and frustration at the workplace. Consultation is the process used to discuss the development of systems, policies, practices and issues involving employees/workers and their workplace. The aim of consultation is to obtain sufficient information to make well-informed decisions, and to enable affected workers to have their views heard and to understand the reasons for the decisions. It involves two-way communication with employers providing information and workers taking on the responsibility of actively participating in the process. Effective communication and consultation between management and workers about safety and health issues at the workplace is essential for developing and maintaining a strong safety culture. Timely reporting allows Trades Labour Hire to recognise clusters and trends of hazards and incidents, which otherwise might be missed and create more serious incidents or harm. This, in turn, provides an opportunity for management to address root causes and prevent future incidents. What could happen if reporting is…? • Unidentified or uncontrolled hazards may cause serious harm to fellow workers. • Hazard and incident trends cannot be used to identify potential hazards and risks of harm to workers over time. • Everyone has a duty to report hazards and incidents to their supervisor or manager, whether or not someone is hurt. How can we learn from Incidents? • reducing the effect of any future incident. All hazards, incidents and near misses must be reported as soon as practicably possible to determine corrective actions and prevent incidents from evolving. This involves informing your Trades Labour Hire Representative, the client/host site Supervisor, site Safety and Health (OSH/WHS) Representative and Site/Project Manager. Once a hazard or incident has been reported Trades Labour Hire is responsible for facilitating and coordinating an investigation with the host-employer/client to identify any direct and indirect factors contributing to the incident. During this process the investigator will be searching for potential people, equipment, environmental and procedural causes. 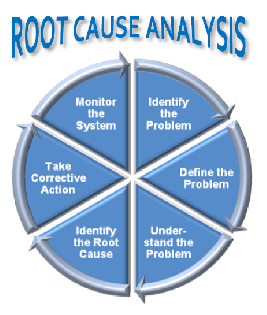 Using the details from the investigation a root-cause-analysis is conducted to identify the best controls necessary to prevent recurrence. Christine was the first to provide us with the correct answer to last month’s quiz question - "What are Trades Labour Hire's minimum PPE requirements at all workplaces?“. We hope you enjoy your prize, Christine! 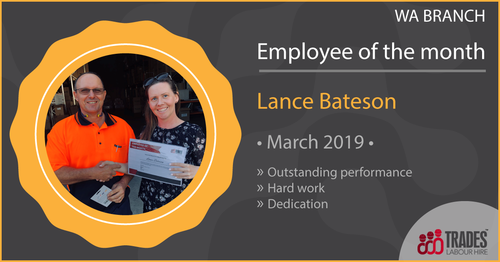 Congratulations for being our employee of the month! Thank you for your dedication and hard work! We are proud to have you in our team! Please answer the following question for your chance to win a $50.00 Coles/Myer Voucher! Text your answer to 0429 306 540 with your full name and State to be in the running to win. What could happen if hazards aren't reported? uzann has a background in Urban and Town Planning with a primary focus on strategic and logistical approaches. Most recently, Suzann has worked in the Construction and Mining industry. 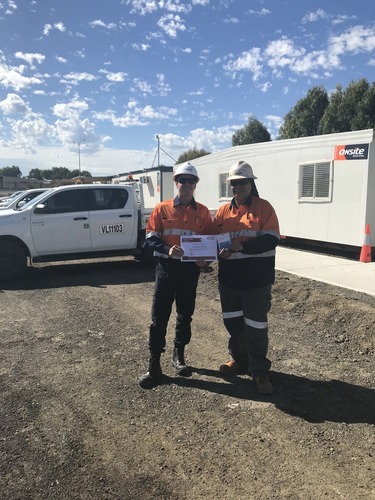 With a wealth of experience in the FIFO Industry, Suzann is looking forward to sharing her skills and knowledge to enhance Trades Labour Hire’s presence within the Construction, Mining and Oil & Gas industry. Driven by delivering excellent customer care to our current and future candidates and clients, Suzann is committed to providing the best recruitment services to ensure our personnel are placed in ongoing long term positions. With her strong business and sales skills, Suzann is confident Trades Labour Hire can facilitate all your needs and requests.